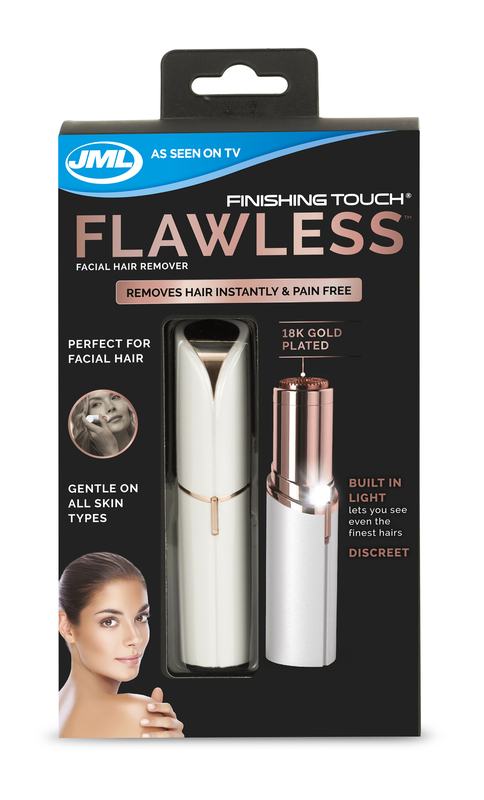 We put JML’s Finishing Touch Flawless to the test! Can you keep a secret? The Finishing Touch Flawless looks just like an expensive designer lipstick, perfect for popping into your handbag without raising any suspicion! It’s actually the crème de la crème of discreet facial hair removal, ideal for use on lips, chin and cheeks plus any downy areas that wreak havoc with your foundation. The trimming head is safe to touch and encased in 18 karat gold plate, which is great for hypo-allergenic purposes and won’t aggravate any red or sore areas. The inbuilt LED light is really useful and ensures that no hair is missed, dermatologically approved, you can use the device every day to help avoid any regrowth. At only £19.99, it won’t break the bank either – available from www.jmldirect.com what are you waiting for?